Mowins will be the first woman to ever call NFL play-by-play for the network. On the heels of Fox announcing its NFL broadcast teams for the 2017 season, CBS unveiled its NFL announcing teams on Tuesday and included one notable addition. Beth Mowins will become the first woman to call NFL play-by-play on CBS when she partners with analyst Jay Feely for the Browns-Colts broadcast on Sept. 24. Mowins was already set to call the second Week 1 Monday Night Football game for ESPN on Sept. 11, along with analyst Rex Ryan. With that assignment, she will be the first woman since Gayle Sierens in 1987 to call an NFL game on television. Unlike the MNF broadcast, Mowins’ CBS telecast won’t be nationally televised. But it’s still a historic assignment for the network. CBS was already going to make news with Tony Romo taking over for Phil Simms as analyst on the No. 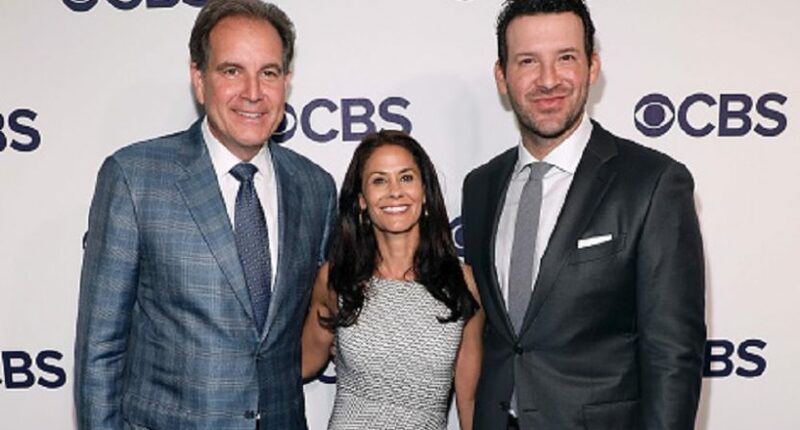 1 broadcast team with play-by-play man Jim Nantz and sideline reporter Tracy Wolfson. Romo’s surprising move to the broadcast booth with a handful of NFL teams showing interest in him playing quarterback drew plenty of attention during the offseason. Replacing Simms on CBS’ No. 1 NFL team made Romo’s hiring even more compelling. Romo’s debut will attract heavy interest, but CBS surely wouldn’t have put him in such a prominent position if the network didn’t believe in his talent. Simms moves to the studio and The NFL Today pregame show, joining fellow new analyst Nate Burleson. Simms replaces Tony Gonzalez (who moved to Fox) on the studio crew, while Burleson takes over for Bart Scott. Host James Brown, analysts Boomer Esiason and Bill Cowher, and NFL insider Jason La Canfora remain in The NFL Today‘s lineup. The show is celebrating its 50th year this season. The rest of the CBS NFL broadcast teams will have a similar look to last season. The No. 2 team stays the same with Ian Eagle calling play-by-play with analyst Dan Fouts and reporter Evan Washburn. Greg Gumbel, Trent Green and Jamie Erdahl remain the No. 3 team for CBS, while Kevin Harlan and Rich Gannon comprise the No. 4 pairing. Andrew Catalon with new analyst James Lofton move up to the No. 5 team. Lofton replaces Steve Tasker as Catalon’s broadcast partner. On the No. 6 team, Spero Dedes also gets a new analyst in Adam Archuleta, replacing Solomon Wilcots (who left CBS in May). Tasker joins Tom McCarthy and Steve Beuerlein on CBS’ No. 7 team.